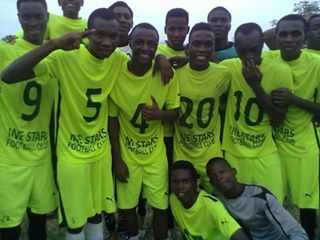 Nembe City football club have acquired the services of Ine Stars football club captain, Akpoh Ughe Benedict popularly called Ben10. The talismanic striker joins the premier league side despite having his medical earlier in the day, before he signed the contract papers and sealed the deal by 10pm on transfer deadline. The benin city based amateur club released an official statement on the social media stating that transfer negotiations took longer as they studied many offers, before the player, who had a trial at Zob Ahan football club of Iran, decided in favour of Nembe City. Akpoh, had earlier inspired his team to the quarter finals of Edo State FA cup, driving in a 25th minute volley in a 1-1 draw with Bendel Insurance before losing out 2-4 on penalties.